Imagine a piece of rock the size of the Burj Khalifa skyscraper speeding through space 15 times faster the world’s fastest manned aircraft. Now imagine that piece of rock buzzing toward Earth on its way to making a nearby pass (and by “nearby,” we mean more than 11 times the distance between our planet and the moon). If you were a scientist at NASA, you’d probably deem that object as “potentially hazardous,” too. But thankfully, we shouldn’t need any stunts like the one pulled off in Armageddon to save us. That said, NASA likes to label any asteroid that comes within 4.6 million miles of Earth as “potentially hazardous,” so Asteroid 2002 AJ129 isn’t getting any kind of special treatment. The space object is 0.7 miles wide, some 0.2 miles bigger than the massive Burj Khalifa skyscraper in Dubai. It’s speeding through space at 67,000 mph, The Daily Mail explains, while the speedy hypersonic North American X-15 aircraft can fly at speeds of only 4,520 mph. 2002 AJ129 will pass Earth on February 4th at a distance of more than 2.6 million miles. The distance between the Earth and the Moon, meanwhile, is 238,855 miles. 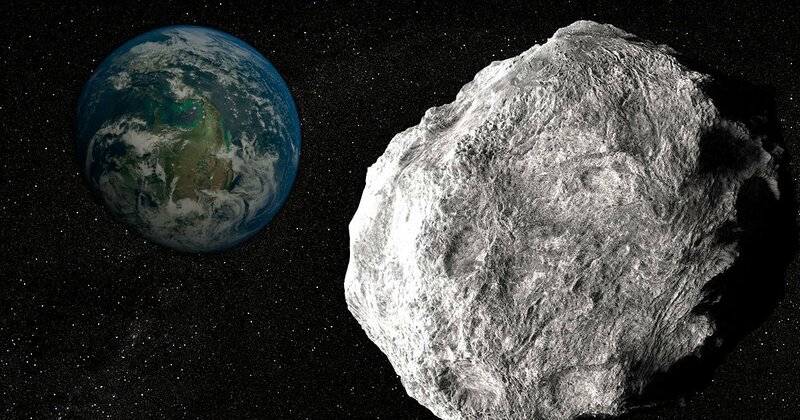 In other words, the Asteroid will most likely not crash into our planet. We already have a Burj Khalifa, so we’re all set thanks. But say it did… what might happen? You can expect Earth to go through a mini ice age following the impact with an object of that size, according to researchers. Average temperatures around the world would fall by 8° C, and Earth would become a much darker, colder, and drier place. Surviving the impact would not be pleasant. In a “worst-case scenario,” soot would remain in the atmosphere for around 10 years, with dust needing some six years to settle back down on Earth. NASA, meanwhile, is going forward with plans to prevent any Asteroid impacts, and they don’t involve plans like the aforementioned ones in the movie Armageddon. NASA is working on a refrigerator-sized spacecraft that would prevent asteroids from colliding with Earth. Deflecting an asteroid that’s on an impact course with Earth requires changing its speed by less than an inch per second, but you have to do it years in advance. Apparently having a team of expert oil drillers nuke it out of a sky at the last moment isn’t the way to go. According to NASA, a 2002 AJ129, skyscraper sized asteroid is potentially hazardous and will fly past the Earth on February 4th at speed of 67000mph. It means it is nearly 15 times faster than the world's quickest, manned aircraft, the Hypersonic North American X-15, which travelled at 4520mph.